While Jeremy Umansky’s love for food developed at an early age when cooking in the kitchen with his grandmother, it wasn’t until working as the land manager on a 40-acre farm in the Hudson Valley that his passion for culinary preservation was born. After producing award-winning fruits and vegetables, and introducing wild edibles, heirlooms, and seeds to the area, Umansky became enthralled with ecology, sustainability, and sourcing from the local landscape. With this newfound fervor, he joined Slow Food in 2007 as co-conviviam leader, managing community outreach and programming for the organization while promoting the ideals of Slow Food. In 2008, Umansky traveled to Italy on behalf of the organization where he lectured about sustainable food systems in the farmer chef connection. While there, he conducted research along the western coast and worked on an olive farm for several months. After engrossing himself entirely in agriculture, Umansky decided that the next logical step in food system education was actually working in a kitchen. Accordingly, in 2009, he accepted the role of opening chef at a new restaurant in the Hudson Valley. Soon thereafter, his wife graduated from culinary school, prompting a move to New York where he became Executive Chef at Fairway Market in Brooklyn. One year later, Umansky was asked by Whole Foods to serve as a prepared food and produce team leader in Manhattan. He eventually became one of the company’s local chefs, and managed an R&D team working to develop foods that were sourced from local New York City green markets. In 2012, Umansky founded Feast, an online culinary school for home cooks using integrated internet technologies such as real time interaction with instructors like Umansky himself. During that time, he also began working for regarded restaurateur, Mary Redding. Umansky became head chef of her popular outpost, Brooklyn Fish Camp, in 2013. Notwithstanding his wide array of respected accomplishments, Umansky sought more. His true passion had always been culinary preservation, and while he enjoyed leading a strong kitchen team, he longed for working on the land itself. As fate would have it, in early 2014, a mutual friend introduced Umansky to James Beard Award-nominated Chef Jonathon Sawyer. After discussing his background and passion for preservation, Sawyer asked Umansky to assist with the opening of his newest Northern Italian-inspired concept, Trentina, in Cleveland. Without hesitation, Umansky and his wife moved to the Rust Belt that spring. Umansky is now the Larder Master and Wild Food Forager for Team Sawyer’s growing list of lauded concepts, including Trentina and The Greenhouse Tavern. In this role, he does everything from making fresh cheeses and yogurts, to churning butter, to curing meat, to fermenting and bottling sauces. Umansky also forges throughout the Cuyahoga Valley, allowing Sawyer to serve seventy species of wild fungi and use over 180 wild plants that grow in the region at Trentina. He cooks at Trentina several nights a week, and oversees Team Sawyer’s entire pasta-making program. Umansky’s food philosophy is to source as local as possible, and cook as seasonal as possible, with minimal to no ecological impact on the environment. He has contributed to two of Leda Meredith’s acclaimed books, Northeast Foraging and Preserve Everything. 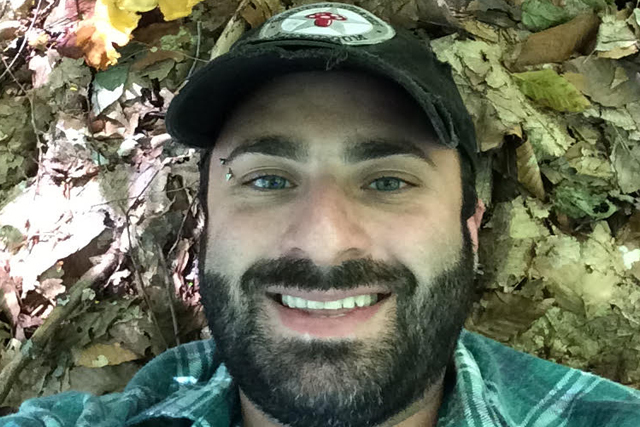 When Umansky isn’t working at Team Sawyer’s restaurants, he enjoys fermenting and cooking at home, foraging with his dog and wife, writing about preservation, and spending time with his new baby daughter, Emilia Morchella.